How does the "search" function work? Q: When i click the "search" button, it doesn't work? What should I do? 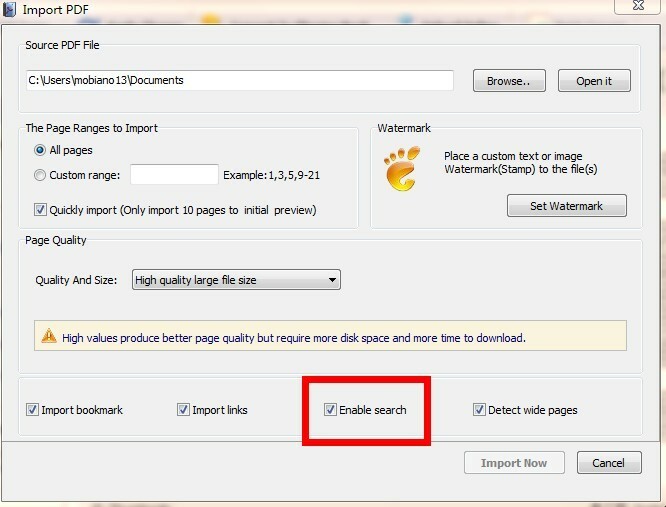 A: First of all, you need to check if you have selected the " Enable search" button. If you didn't, please try to import the file again and select it. 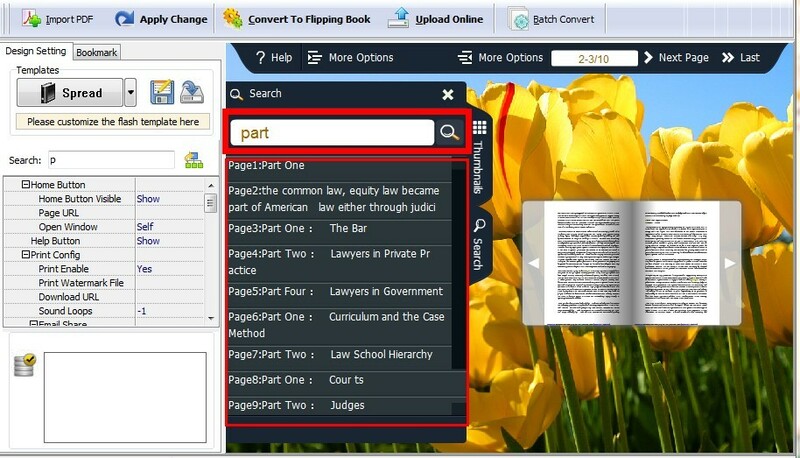 Then, convert your PDF file to Flip book, type in the words you are looking for in the search window. Finally, there will show a list that including the information you need. Tips: Don't foget to click button "Apply to change" to save something you change. More product information please click here.